In my previous blog Rhino C# Development (III) : Add Winform UI to Rhino, I demonstrated how to create a dock bar with Winform User controls in Rhino3D. In this blog I am to demonstrate how to use a similar approach to create Rhino panels, and then dock the panels side-by-side. Rhino panels, are tabbed containers where collection of controls can be hosted, as shown below. To create such a panel, in Visual Studio, add a user control in the plugin project. If you don’t know how to create such a plugin project, refer to my previous blogs for details. In this example, a UserControl called GeometryPanel is inserted into the project, and a few simple winform controls are added for illustrative purposes. Add a Guid attribute to the UserControl, as shown below. Rhino3D has changed its .net plugin development implementation. Although you can still use the Rhino.NET SDK to create Rhino plug-ins with the same capabilities as Rhino C++ SDK developers, however, Rhino.NET will NOT be available in Rhino 6. Rhino3D instead prefers using RhinoCommon if possible, and RhinoCommon is the new .NET plug-in SDK for Rhino 5+. In this blog, I am going to show how to use the new RhinoCommon API to develop .net plugins for Rhino3D. Project wizards for plug-ins and commands are ready for Visual Studio 2010, 2012 and 2013, both in C# and Vb.Net, and including in Ultimate, Professional, Premium, C# Express, Vb Express and Windows Desktop Express where available. Same as installing from VS ‘Extension Manager’. 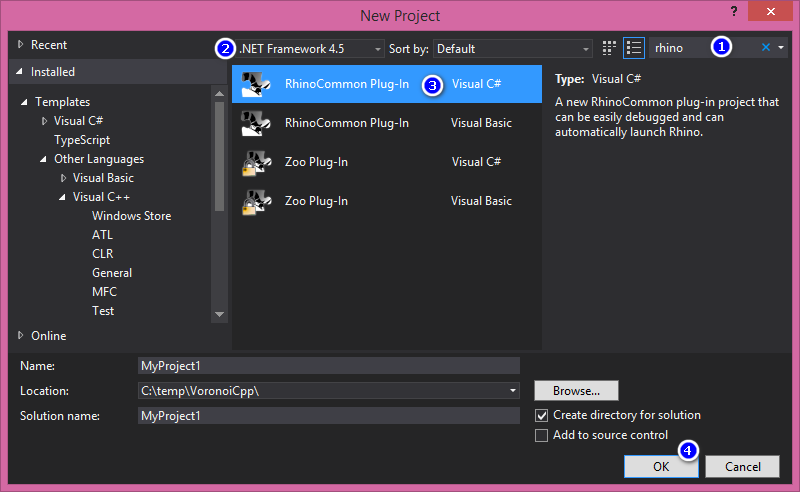 After installing the wizards with the Extensions Manager, when you create a new project in Visual Studio, set the Framework to 4.0 or above in order to see the Rhino plug-in in the list. If you download and install AutoCAD, e.g. 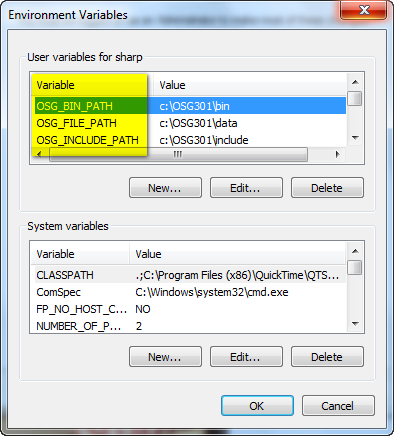 v2012 or v2014 on Windows8, windows 8.1, it is highly possible that you are not so lucky: the installation starts, and then suddenly terminates, showing that AutoCAD is NOT installed! Given a mesh, we might occasionally want to filter those internal vertices and keeps only the outline or silhouettes. But how to do that? The problem came to my mind several years ago, when the Department of Mechanical Engineering I was serving need to drive a laser cutter to trim some shapes. So I decided to refresh my mind and use it in my current project in text morphing. So the input might be some triangulated mesh, and the output is the silhouettes, as shown below. In automating maya to do some custom job, the maya installation folder is usually needed. 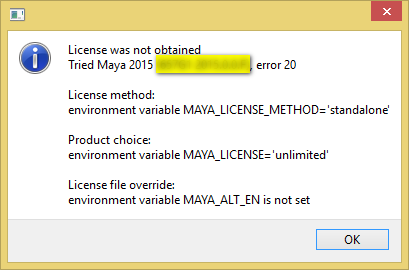 Though one can hard code this as, for example, path=”C:\\Program Files\\Autodesk\\Maya2014\\”, this is not the best way as users may not install maya to the default directory.